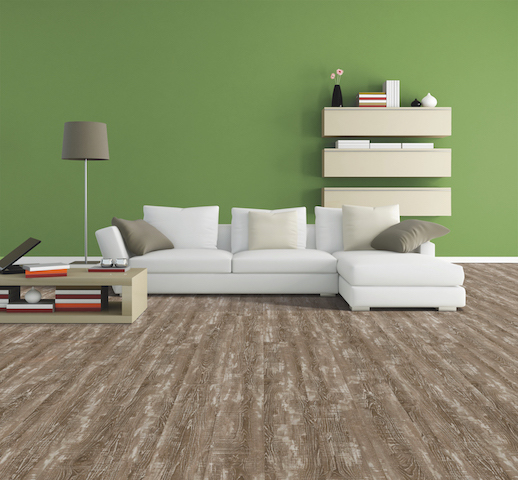 There are three basic types of luxury vinyl flooring for residential interiors: LVT/P (tile and planks), WPC and what is referred to as rigid core, SPC or MLF. Vinyl has always been a performance floor. 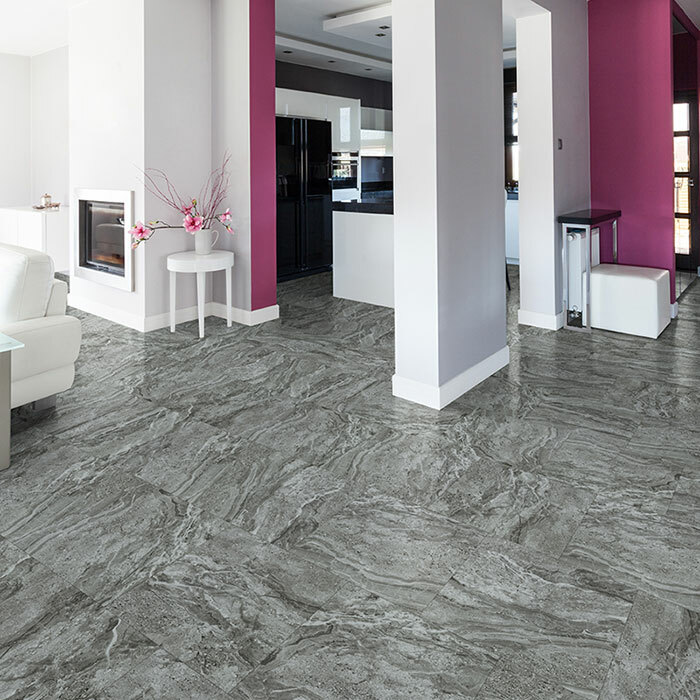 However, the new luxury vinyl floors are breaking down barriers for this exciting new product. Luxury Vinyl is moving out of the kitchen and into feature spaces throughout the home as a result of improvements in design due to advances in high-definition printing, the layering of pattern and color, and new embossing techniques. 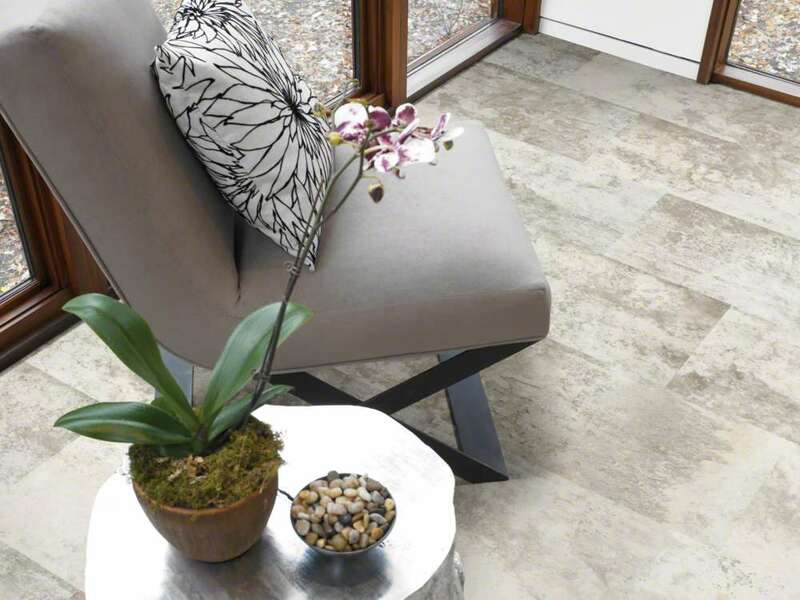 Luxury vinyl is often referred to as LVT or LVP, depending on whether it is in tile or plank format. It is an upgrade vinyl product that features a heavier vinyl substrate that provides increased dimensional stability, is water resistant and sometimes waterproof, and lends itself to deeper embossing and better visuals which gives today’s LVTs their realistic looks. Luxury vinyl is not only more expensive than sheet vinyl, it generally outperforms sheet. 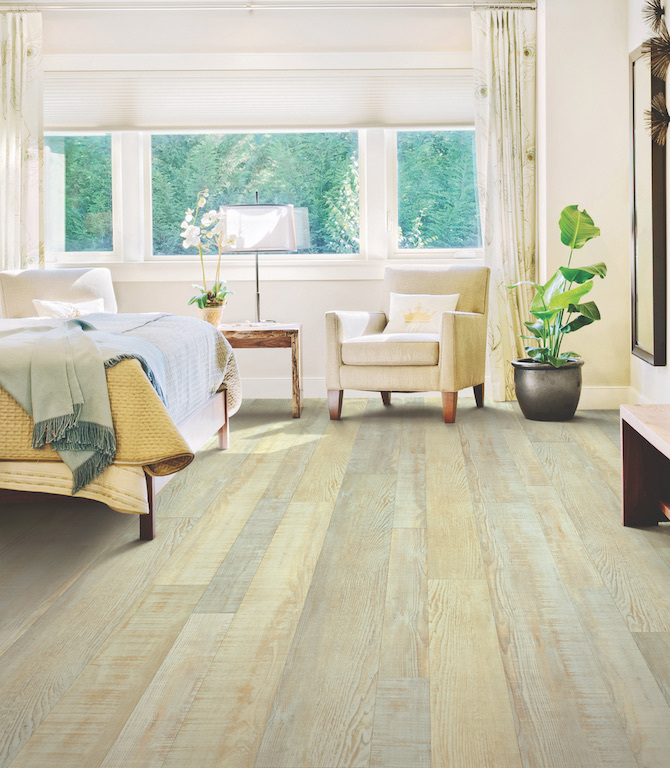 Luxury vinyl gets its performance from a solid vinyl core, backing and a superior wear layer. 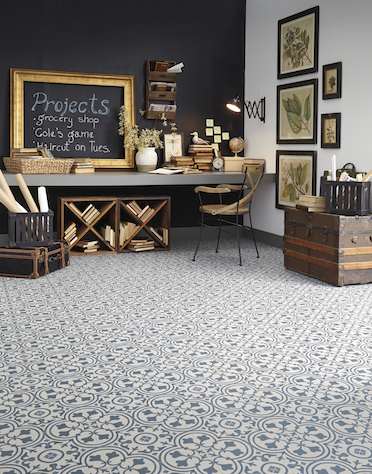 That solid core also allows for enhanced visuals and accounts for the great look you’ll see across LVT products. LVT is usually installed fully adhered to the subfloor although some offer floating floor installation. However, LVT is known to telegraph subfloor imperfections. This is basically the opening price point for luxury vinyl flooring; expect pay anywhere from $1 to $3 a square foot. 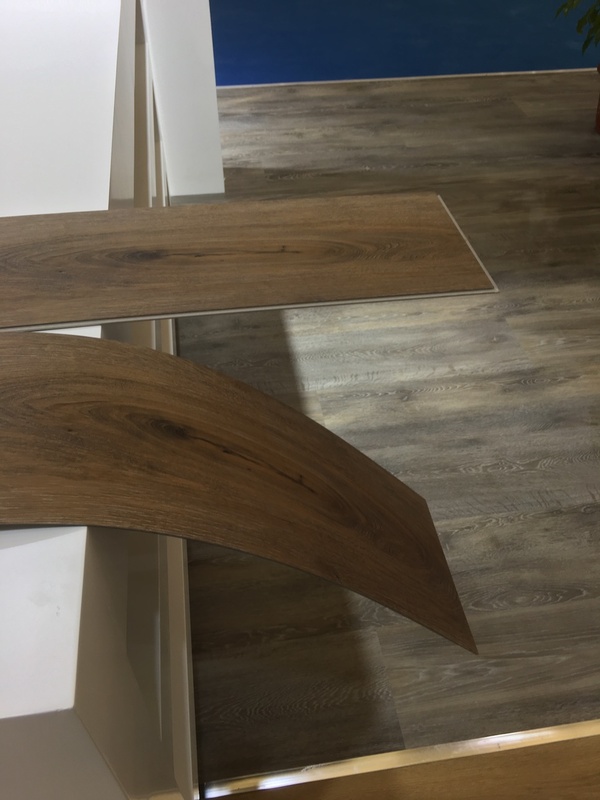 Rigid Core Vinyl -- sometimes referred to as SPC or MLF flooring -- improves upon the performance features of LVT/P by combining vinyl, typically with calcium carbonate for a rigid, water proof core that provides increased dimensional stability. This also gives it superior dent resistance and often features enhanced wear layers to protect against scuffs and staining. It is most often installed as a floating floor. Click locking systems benefit from Rigid's increased thickness for an even easier installation. 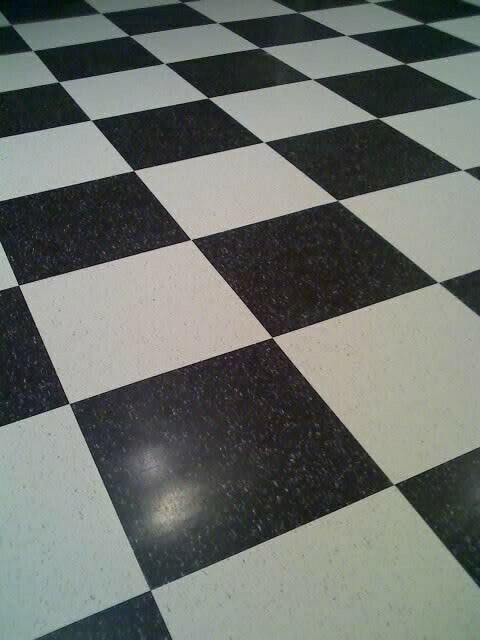 There is a trade off though: It's solid core prevents deeper embossing found in other luxury vinyl floors. Rigid core is especially popular in multi-family housing and commercial settings for its enhanced performance. Price points generally range from $2 to $4 per square foot and higher for commercially rated floors. WPC (wood plastic composite) also boasts superior dent resistance and a rigid, water-resistant core, but it not as resistant to dents as Rigid Core products. WPC does offer a level of comfort underfoot that other luxury vinyl floors can't match as well as additional sound and thermal insulation qualities, especially when combined with the enhanced backing layers found in better products. Because of how it's made, WPC also delivers the high quality visuals and deep embossing you won't find in Rigid Core products, although the more traditional LVT's feature the same benefit. Here as well, WPC's thicker profile allows for click locking systems and can be used as a floating floor installation. Because of its ability to hide subfloor imperfections, some WPC product can be installed directly over existing flooring. You can expect to find WPC products in the $3 to $6 range or more. WPC can usually be identified by its creamy white core layer. Some WPC and SPC products are waterproof with advanced surface systems that protect against sitting spills. Many of these now offer warrantied protection not only for sitting spills but also pet accidents. Same visual, Rigid Core vs. LVT. LVT allows for deeper embossing for a more realistic look while Rigid Core offers superior dimensional stability and dent resistance.